Jarrett Strickland is living his purpose through serving as an Investment Advisor with Molette Investment Services. Jarrett has always been told he would make a good preacher, but Jarrett knew in the 11th grade that his ministry was helping others understand investments and how to prepare for retirement. 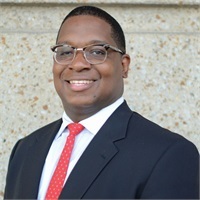 JarrettStrickland is a 2007 graduate of Tennessee State University where he earned a Bachelor’s Degree with a concentration in Economics and Finance. Jarrett has dedicated his career to helping others understand the importance of investing for retirement and how to ensure their retirement income last their entire lives. Prior to joining Molette Investment Services, Jarrett served as a Wholesaler with Jackson National where he worked with hundreds of Financial Advisors to develop financial plans for their clients. Prior to that he served as an Insurance Advisor, where he developed plans protect his clients largest assets through legacy and insurance planning. These experiences allowed Jarrett to sharpen his skills, develop his investment theory and prepare for his career with Molette Investment Services. Jarrett is a native of St. Louis, Missouri; he relocated to Nashville in 2003 to attend Tennessee State University. While there, Jarrett was an active member of TSU’s Aristocrat of Bands, President of the Economic and Finance Society, and Fundraising Chair of Alpha Kappa Psi Professional Business Fraternity, Inc. Jarrett is currently on the Board of Directors with Big Brothers Big Sisters of Middle Tennessee, a graduate of Nashville Young Leaders Council and active in the arts community of Nashville. Jarrett made the best decision of his life on August 10th of 2013 when he married Marnique Strickland. They enjoy exploring the vast music scene in Nashville, investing in visual art, dancing to salsa and soul music and wild outdoor adventures like white water rafting . Currently they are parents of a fish named Olivia, a snail named Huck and a cat named Jazz. Jarrett and Marnique own a home in the Cleveland Park neighborhood of East Nashville and enjoy the experience of traveling to other countries around the world. Please let Jarrett know how he can be of service to you, your family and friends.